HAPPY LABOR DAY WEEKEND: FREE RIDE DAY! Fast and Furr-ious! 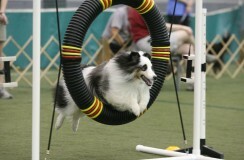 Come out and enjoy the fast-paced AKC Trials! Fun for the entire family. Free to spectators! The Arena Grill will open – awesome breakfast, yummy burgers, salads and more.